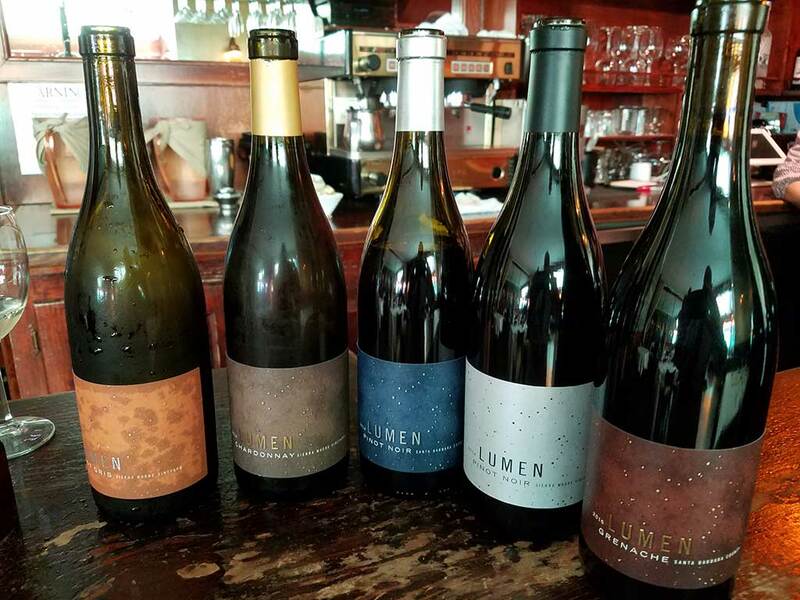 Lumen Wines Winemaker Lane Tanner, the first female winemaker in Santa Barbara County, made a rare Southern California appearance. She shared highlights of her 30+ years as a winemaker and gave us an insight into what makes Lumen Wines so unique. Lane is the self-proclaimed Czarista of Pinot in Santa Barbara and guests had the opportunity to taste 2 outstanding PNO’s (2014 Lumen Pinot Noir, Santa Barbara County and 2014 Lumen Pinot Noir, Sierra Madre Vineyard) among the 5 wines. 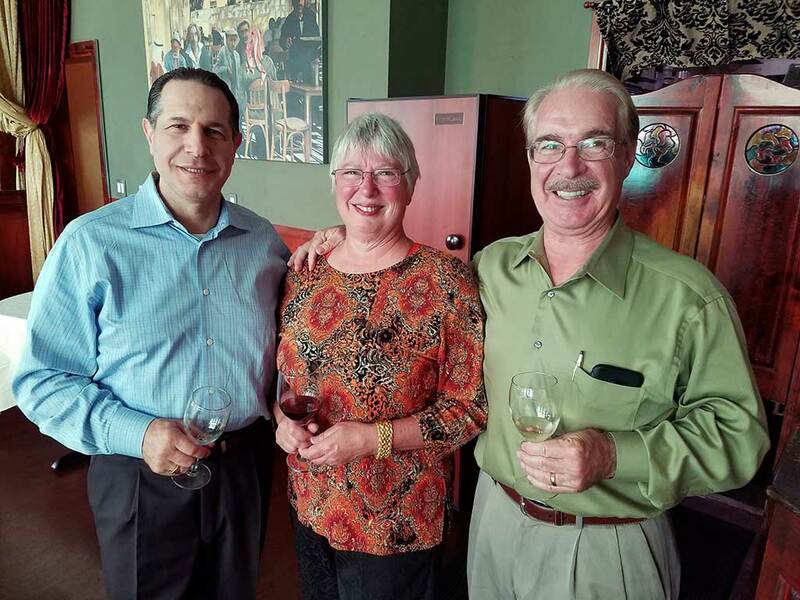 The 2014 Lumen Pinot Noir, Sierra Madre Vineyard seemed to be the crowd’s favorite. With only 99 cases produced, it was a real treat to be able to enjoy this “Big dog in the kennel” (and order it at a discounted price). It is extremely cellar-worthy, aging beautifully for the next 12-15 years. This PNO and all the featured Lumen wines were available for ordering at special discounted prices. An amazing Grilled Mediterranean Octopus (with wild arugula & fennel, topped with green apple & honeydew dressing) perfectly paired with the 2014 Lumen Chardonnay, Sierra Madre Vineyard. Wine review by The Wine Enthusiast (winemag.com) gave this wine 91 points. Kudos to Sam’s owner Samer Elias and his culinary team for a menu full of excellent flavors and “spot-on” wine and food pairings. 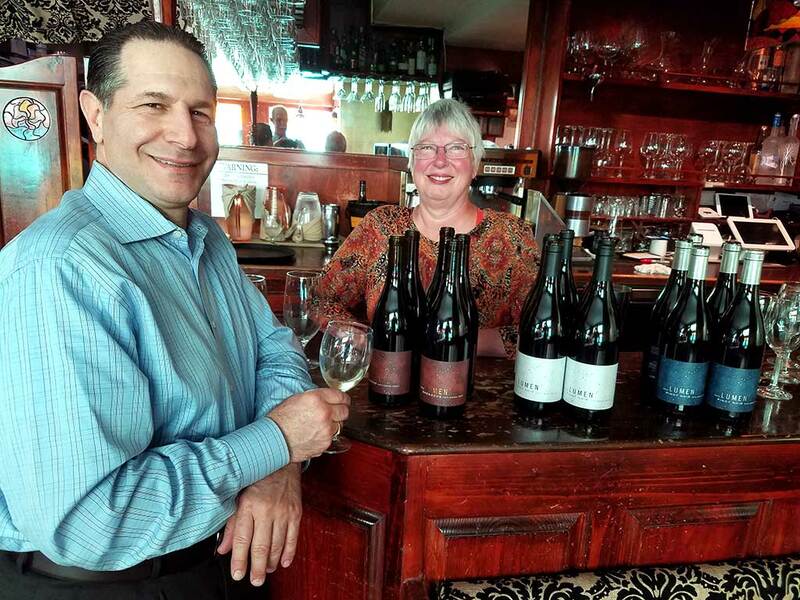 Sam’s owner Samer Elias reviewing the Lumen Winery wines with Lumen’s winemaker Lane Tanner. 5 wines were perfectly paired with a gourmet menu. Sam, Lane and Peter making sure all the wines are tasting great. 5 excellent bottles of Lumen Wines were enjoyed by all.